Are you looking for more joy and happiness in your life? Do you sometimes struggle looking for meaning and purpose? Are you going through a transition and attempting to reevaluate priorities? Do you want to create a life worth living but don’t know where to begin? Then you may benefit from learning to live Wholeheartedly! In her book, The Gifts of imperfection, Dr. Brown identifies 10 Guideposts that she has identified as qualities held by people who are living Wholeheartedly. In this blog we will explore the 1st Guidepost. People who are living fully with Courage, Compassion and Connection know how to cultivate authenticity while letting go of what people think. Living authentically means that we understand and embrace who we are, including our faults, failures and imperfections. We must muster the courage to own imperfection, set boundaries and allow ourselves to be vulnerable while practicing self-compassion when we fall short. There is no connection to others without vulnerability. Ironically vulnerability is the first thing we look for in others, but it is the last thing we feel comfortable showing to others. Many people view vulnerability as weakness and it is that attitude that interferes with deep meaningful relationships. 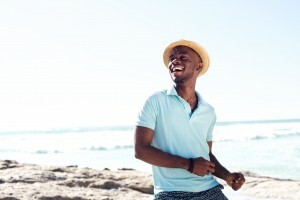 When we choose to cultivate authenticity while letting go of what others think, we can cultivate real connections in our lives. People will see us for who we are, and we will feel accepted instead of the shallower feeling of “fitting in”. If you are ready to embrace Wholehearted living and want to learn how to cultivate more joy and happiness into your life then look for Carleen’s Visual Journaling Group titled the Gifts of Imperfection offered at The Summit.